Gotham President Dan Gerstein will participate in a live video chat from Book Expo America on Saturday, June 1st at 1:30pm. The livechat is one in a series Shindig will be hosting throughout the conference with more than 50 industry experts and authors. Dan will be joining Jason Allen Ashlock, president of Movable Type literary agency, to discuss the use of nontraditional book publishing for content marketing. This trend is picking up speed with organizations that recognize the power of the book to spark conversations and create buzz for their brands. Check out Shindig's event page for details about the BEA chat series, and tune in Saturday afternoon to hear the conversation. 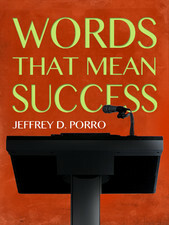 The latest book in our spotlight is Words That Mean Success by veteran speechwriter Jeff Porro. Building on his extensive experience writing for Fortune 250 CEOs, government leaders, and the like, Porro packs a lot of wisdom into this short book. Words That Mean Success underscores the importance of the spoken word in business and gives sage advice on how to improve public speaking and better engage audiences. And by gathering lessons from top CEO communicators like Warren Buffet and Steve Jobs, Porro shows the real-world benefits of being a great speaker. GG: What made you decide to write this book? JP: I’d been thinking for a long time about updating and expanding some of my earlier writing on helping executives get the most out of the spoken word. But I have to admit that until recently, the thought of sitting down and doing a 200- or 300-page book was too daunting for me to even contemplate. Then I spoke with a friend who had just published a very successful business book, and he opened my eyes to an idea that now seems rather obvious: a lot of businesspeople are extremely busy and prefer books you can read in one sitting. I knew that was something I could write. GG: Can you reveal a tip or two from the book? GG: How did you get started as a speechwriter? JP: I became a freelance writer back in the 1990s, when the magazine where I was working let nearly the entire staff go at once. At first I did all kinds of writing and editing, then I narrowed my focus to what I call “promotional writing,” helping people and organizations get their messages out. I began to get bored with that, though, so I worked with an executive coach, Mitchell Groter, who helped me realize that speechwriting was really my strength. GG: What attracts you to speechwriting? JP: I think it’s the fact that a great speech is an artful combination of a diverse set of elements. You have to capture the personality of the speaker, convey a specific messages, target a particular audience, and so on. Plus you can use humor, history, quotes, current events—it’s an exciting challenge to bring it all together and make it work. GG: Do you have a favorite speech you’ve written? JP: There is one in particular where all the elements came together exactly the way they should. It was the commencement speech Anne Goddard, the head of ChildFund International, gave at her alma mater, Assumption College, in 2009. She is a terrific woman with a great sense of humor, and she was very willing to share wonderful stories. I’m very proud of that speech, but Anne made my job pretty easy. GG: If you had to sum up what you do in one word, á la Dan Pink, what would it be? JP: “Engage.” I help executives use speeches, talks, and presentation to engage their audiences. We've all heard it said: first impressions are everything. This doesn't just apply to face-to-face interactions anymore; in our digital age, often the first "meeting happens online, so making sure you have a great professional website is an important part of building your reputation, both online and off. And for freelancers wanting to grow their client base, a great site can be the thing that sets you apart from the crowd. Digital first impressions happen quickly. An article on Ragan covered the Missouri University of Science and Technology's research on the topic, and the results might surprise you: the study found that people form first impressions of a website within 2.6 seconds. Knowing that the look and feel of a website can be what stands between someone reading your content—and potentially hiring you for a gig—or not, we looked at some great writer websites and broke down three essential components: professional appearance, simple layout, and well-organized samples. With less than 3 seconds to leave visitors with a positive impression, the overall look of your site should be very professional—avoid pictures of cats, overly "playful" fonts, and anything that could be construed as amateur. 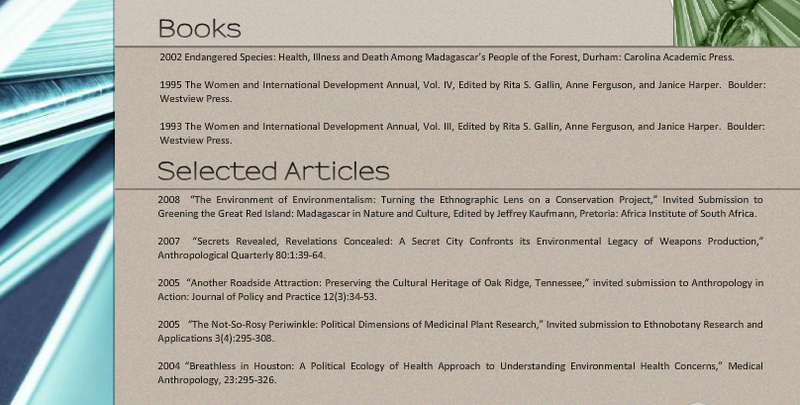 Timothy Gower and Cynthia Starks accomplish this well: their sites are simple, uncluttered, and use classic color schemes and fonts. 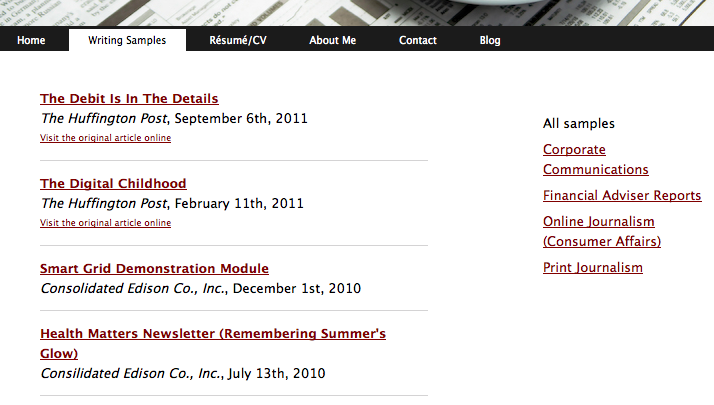 The results are great-looking, professional websites that allows each writer and his or her content to stand out. Attention spans are shrinking by the minute, and people often don't have the patience to hunt for information, so it's very important to make clear who you are and what you do. Theresa Sullivan Barger and Alan Goldsher do a nice job of this: you have a clear sense of their skills and focus immediately, without having to scroll or click a link. Each also includes a professional photo, a brief bio, and clear tabs leading you to things like testimonials, projects, and contact information. Although it may be tempting to include graphics, music, and other flourishes, resist the urge, as these are a distraction to your audience. Keep things simple and clear, and allow your work to speak for itself. On freelance writer websites, samples are generally the main thing people want to see, so these should be easy to find and organized well. Whether you group your samples by topic or by project type, the best websites make it effortless to find and peruse your writing. 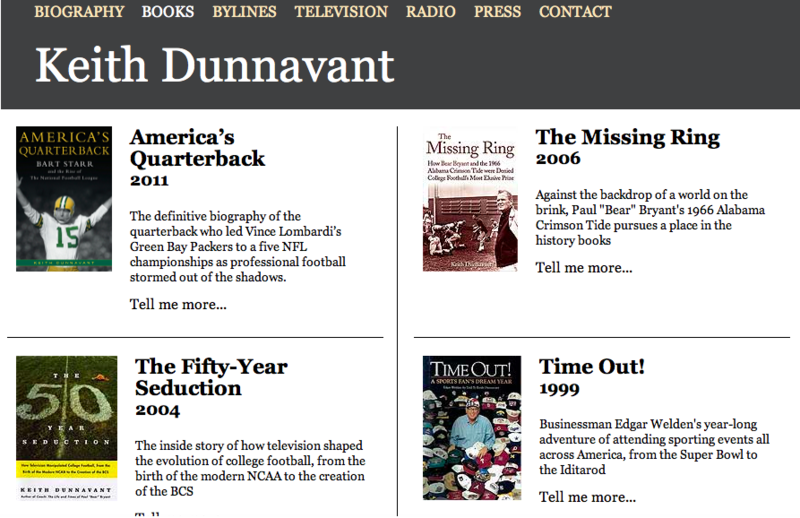 Keith Dunnavant organizes his books chronologically and uses their cover images, which makes his credits both easy to follow and visually appealing. Janice Harper also takes a simple approach, listing her samples by type and date. Len Hollie, on the other hand, provides links to all of his samples and organizes them by topic, which lets viewers easily narrow their search. Each writer has taken a unique approach suited their experience, but each site is well organized and easy to navigate. These tips should not be one-size-fits-all solutions. Your website should reflect your personal style as well as who you are as a writer, which will be different for everyone. But by having a simple, professional, and well-organized website, you and your content will leave a great lasting impression.